CHARLESTON, SC - The Charleston RiverDogs have yet again left a large paw print on the fight against blindness and retinitis pigmentosa. During the Friday, August 9 contest against the Rome Braves at Joseph P. Riley, Jr. Park, RiverDogs General Manager Dave Echols presented a check for $20,000 to the Medical University of South Carolina (MUSC) Storm Eye Institute and its director, Dr. Lucian Del Priore. The donation comes from proceeds from the RiverDogs' 14th annual Kindness Beats Blindness Auction, the 10th Annual "Run Forrest Run" 5K, the 9th Annual Hot Stove Banquet and the 8th Annual Golf Outing. The Storm Eye Institute was selected as a result of RiverDogs President Mike Veeck's daughter, Rebecca, being diagnosed with retinitis pigmentosa, a group of inherited diseases causing retinal degeneration. Veeck and his wife, Libby, have dedicated themselves and most of their charitable efforts toward fighting blindness. "To work hand-in-hand with the Charleston community for the Storm Eye Institute is something we, as an organization, really look forward to every year," said Echols. "Seeing first-hand the effect this disease can have on a family adds a level of personality and affection to our fundraising efforts." "We are immensely grateful for the RiverDogs' continued support in our quest to find cures and treatments for blinding eye diseases such as retinitis pigmentosa," said Dr. Del Priore. "The RiverDogs' extraordinary generosity over the last 14 years has been critical to the work that our vision scientists are doing in this area." With proceeds from the various RiverDogs special event projects, the team and the Charleston community as a whole have raised more than $500,000 towards preventative research for the degenerative disease. 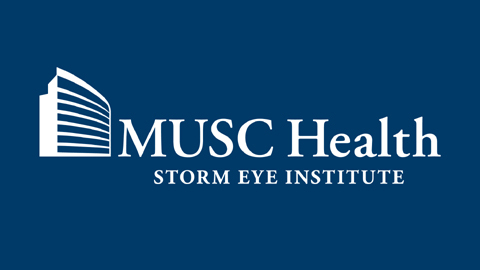 For more information on the MUSC Storm Eye institute and their effort to battle RP and other degenerative retinal diseases visit www.muschealth.com/eyes.